In the never-ending world of mergers, acquisitions, legacy systems, and new developments, the number of applications an organization may want its customers and consumers to access is constantly growing. In addition, it is a struggle to provide simple, secure, and consistent access to these applications. Managing multiple credentials and passwords for numerous applications can be difficult and dangerous. 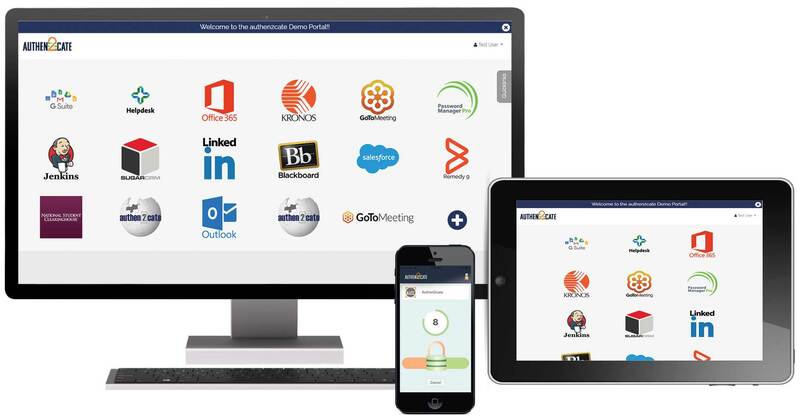 Authen2cate’s Single Sign-On (SSO) solution allows you to use one set of login credentials to access your custom portal. Within your portal, you can then use Multi-Factor Authentication to access other applications in one single location. Authen2cate’s SSO solution allows for added security and a simple user experience.